Entertaining diversion from our Communities Secretary on how he is tackling the deficit. Turning heating down to save energy and expense. I have an idea - why not get rid of Communities and Local Government altogether. This outfit was such a disgrace under Prescott they had to change their name. Interestingly I have heard that to make up for the lack of heating in Eland House, Herr Pickled is staging his own personal Nuremberg rallies in which the civil servants have to fill the atrium and scream "Localism" at the top of their voices. Apparently it takes several attempts until the volume is satisfactory to the Fish-n-chips king. - Sacking any staff that have ever read or posted to a twitter account from a government PC. - Sacking any staff that have a work related blog. Let's just ignore the fact that all the jobs are moving to China and India where slavery is the enlightened new business model and instead just cut out non-essential newspaper subs and biscuits for meeting under 4 hours (How a meeting could exceed 4 hours is anyone's guess). If that's the Tory strategy for the next 5 years we're f*cking screwed. Totally and utterly f*cking screwed. It's cleverer than you think though - the biscuits are being outsourced to China, so by cutting back we are striking a blow against our competitor! You do know this would throw all levels of government into complete turmoil. The perquisites of heirarchy are in many cases much more important to the bureaucrats than either salary or actual job satisfaction. Some government organisations I've had the misfortune to have worked with have assistants who have assistants! Everyone has a PA and they all must have Blackberrys weather they use them or not. Awaydays, team bonding, desks that cost £1000 each and chairs that cost £800. Unbelivable waste and profligacy. Will it end?No, it'll still be there. Off-shoring is the new black. I don't even think Private Eye have come up with that one yet. P.S. It's grim up North London. 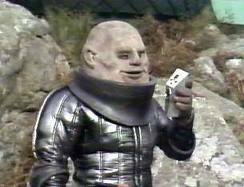 .I'm sure he's a Sontaran from Dr. Who..
Can anybody help me work out how many biscuits have to be cut to save £168 billion? Good Old Eric - only about 20 years behind the times. The transport requirement (the most significant in that lot) was already in place in 1991 when I took a job in Local Govt. As regards buscuits - well from my expereince in most cases they were provided by staff - usually the head of dept / chair etc. In fairnesss, these are the ideas mooted by the staff of the department. It really shows how detached they are from the reality of the situation if that is the best they can come up with. A conservative estimate of the national debt is around £950 billion. If we assume a biscuit costs 5p, then that would be 19 trillion biscuits. Mervyn King's cunning plan is make biscuits cost £10 million each, which would reduce the debt to a mere 95,000 biscuits. So all we need to do is shoot Eric and the debt is cleared. Simples. So in summary local government departments are already fairly efficient in terms of running expenses per member of staff and the travel/overhead per member of staff isn't that big. Really when you are talking about limiting the number of photocopiers per floor that is the sound of barrels being scraped. It completely ignores the structural problems, an example would be when free bus passes were introduced. The government sent every council the specifications for a database required to hold the information and to process the applications. This meant roughly 400 councils had to build their own databases. Those who had outsourced IT didn't have the in-house skills so about 100 councils bought in outside help, probably at about £5k a time and roughly a quarter of the databases were badly designed and couldn't produce the returns in the required format. Add in that every council also had to design their own forms and you are talking millions in wasted time and effort. Why the government couldn't just attach an Access db and a form template I have no idea. Ah, I see you have a lot of experience of working in Local Government IT. "The whole country has to play its part as we tackle a mountain of inherited debt. By publishing this data we invite an army of armchair auditors to scrutinise where their money goes and make sure it is spent on the right priorities. I want town halls to do the same so the public have local spending at their fingertips." It does sound as if the Transparency Trailblazer wants peoples ideas to cut costs, the armchair auditors . There must be mountains upon mountains of red tape and bureaucracy that could be binned. Scrap hundreds of tonnes of roadside signs that only have scrap value and we should stop adding more and more ziggy zaggy paint lines etc on the roads. and by the way they're turning the heating down but how about switching the lights off when they leave the office. But a requirement to use PT doesn't always save money. 300 mile round trips where anymore than 1 staff member would need to go were extremely rare. The only instances I recall in a 17 year career were one trip from Norfolk to Bath for specialist IT training. The other was from Norfolk to Coventry for a Microbiology course. In both cases I car shared with a colleague. I would frequently meet a colleague on a route to a location or pick up from home to minimise the overall mileage to the meeting. 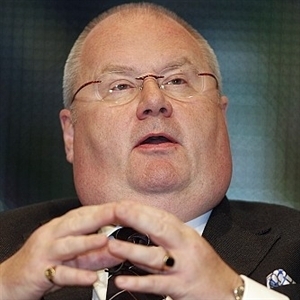 FWIW I think Pickles has been excellent, and am happy I voted Tory. His changes to Prescott's polciy of treating back gardens as "brownfield sites" is reason enough to rejoice. Outside large inner cities, public transport is usually more expensive than going by car, and for many journeys is not available at all. You can tell that whoever came up with that idea has never lived outside London. Agreed on the former, but unless they are undermining their employer and/or writing their blog in work time, I fail to see how the latter would be fair or practicable. I would certainly block all social networking and private email sites (Facebook, Hotmail etc.) on all public sector workplace computers during office hours, though.